The issue of head coverings has always been one of concern but in actual fact it is straight forward. One needs to study more about the Ancient Israelite Hebrew culture which has been maintained from Biblical times to-date. Do Note and Remember that if you have accepted YAH’S SALVATION (a.k.a YAHUSHUA HA MASHIACH as your only Messiah/Mashiach or Saviour And Redeemer, then you are either YAHUSHUA’S BRIDE or Guest! As a Spiritual BRIDE or Guest, you are to honour your husband or boss. How do we do this? There are various ways. One way is what we discuss here – Head Coverings. If you accepted YAHUSHUA as your Spiritual Bridegroom/Husband or boss then you ought to honour HIM with your body and everything you are blessed with while on this earth. The Holy Biblical Scriptures as quoted below say that women should have their heads covered particularly when in YAHUVEH/YAHWEH GOD’S Presence. 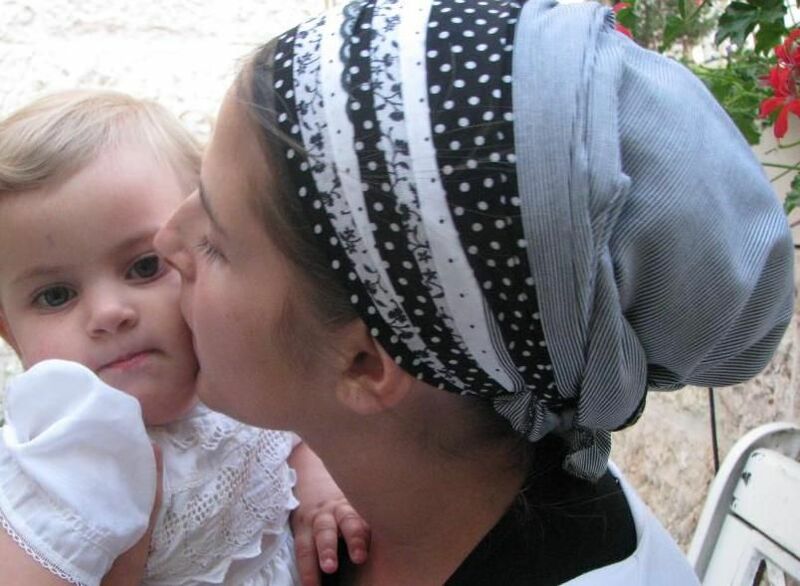 In the Land of Israel and/or Hebrew/Tradition, married women cover their heads most, if not all day long whether at home or not. This is the symbol of marriage to everyone around when walking on the streets. It is a sign of respect to their husbands as well as Almighty YAH. It is a symbol that signifies that the married woman has a boss over her (a.k.a the head). If a married woman doesn’t wear it, she dishonours her head, that is to say the husband and YAH (a.k.a GOD) Almighty. The single women are not obliged to wear one while still bachelorettes but can wear one if they please. In addition, when they grow older and are still not married, they are obliged to wear head coverings. In Ancient Jewish/Hebrew tradition, the men used to wear head coverings. They mostly wrapped their heads with a cloth. In the modern day and age, the men wear head coverings called yarmulke/kippah (plural is kippot). The main reason they do this is that it is a sign of honour unto their HEAD who is YAH/ELOHIM Almighty. The head of the man is YAH/ELOHIM. The head of the woman is her husband, father or brother depending on who is still alive or not in her life… If woman loses all then, her High Priest (a.k a Rabbi, Pastor) would be her head. The head of the child or children is their mother. This is how YAH/ELOHIM operates with mankind. Observe that in the Book of Genesis, YAHUVEH/YAHWEH GOD Almighty always questioned Adam the man and not Eve the woman. It was the man’s responsibility to constantly update his wife plus encourage her to be obedient unto YAHUVEH/YAHWEH GOD Almighty. YAHUVEH GOD Almighty only questioned the woman when the buck was passed to her, that is to say that when man pointed a finger at her. Secondly the men cover their heads based on what their forefathers did. The modern day men follow the tradition of their forefathers. Thirdly, the Jewish men say that you never know when the call to prayer arises therefore be ready at all times or most of the time. 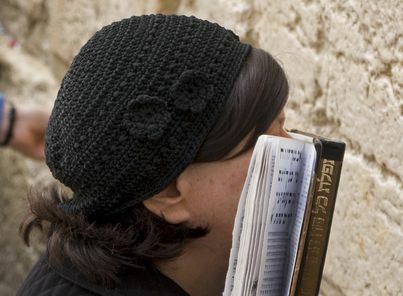 Jews can stand anywhere and pray when the call to prayer arises, for example in the street, etc. Today just like in the past, Jews/ Hebrew Israelites, believe they can find themselves praying at any time of day aside from the main three times (morning, afternoon and night) a day that Prophet Daniel and many others, such as the Apostles of YAHUSHUA did. So, the men wear their head coverings most, if not all the time. Fourthly, they also do it on the basis of the instructions given to Moses regarding the garments of the Priests and High Priests. They had head coverings particularly when going into the Tabernacle and Temple. As per 1 Peter 2:9, YAHUSHUA’S believers and followers are each (spiritual) Priests. We therefore have a requirement to have our heads covered in the same way because we have been given responsibility over our lives particularly our Spiritual Lives. Remember as per Hebrews, we can now boldly approach YAH’S throne to interact with YAH! We no longer have to go through a High Priest as from the time YAH’S SALVATION came to mankind. Further on, the Hebrew/Israelites men wear the yarmulke/kippah as a symbol of their Jewish FAITH (with wisdom, beware of anti-semitism). Sometimes, you have to beware of your environment so as not to attract trouble. ABBA YAHUVEH / YAHWEH GOD has spoken Prophetically through Apostle/ Prophet Elisheva Eliyahu (of AMIGHTYWIND MINISTRY) to ask all WOMEN to have their HEADS COVERED when approaching ABBA YAHUVEH’S/YAHWEH’S Throne to Pray, Praise and Worship, etc. In this Ministry, we therefore advise all WOMEN to COVER their HEADS with a PRAYER SHAWL and/or ordinary HEAD-SCARF before Praying, Singing Praises and Worship to YAH. Additionally, we also encourage covering one’s head most,If not all the time as a sign of honour into YAHUVEH GOD whether married or unmarried/single! The men tend to use both the Yarmulke/Kippah and PERSONAL PRAYER SHAWL. Remember that it was Prophet Elijah’s PERSONAL PRAYER SHAWL that was given as a Physical symbol of MANTLE to Prophet Elisha. The PERSONAL PRAYER SHAWL of Prophet Elijah carried a great anointing in it which was passed on to Prophet Elisha to take after him. Prophet Elisha’s inheritance was the best any man or woman could ever receive at the passing on of a relative or friend. Note that Prophet Elisha was much more empowered than Prophet Elijah. Prophet Elisha did great miracles after Prophet Elijah’s ascension to the Heavens. Prophet Elijah is symbolic of the Revelation 14 BRIDE of YAHUSHUA whereas Prophet Elisha is symbolic of the Revelation 7 BRIDE of YAHUSHUA! 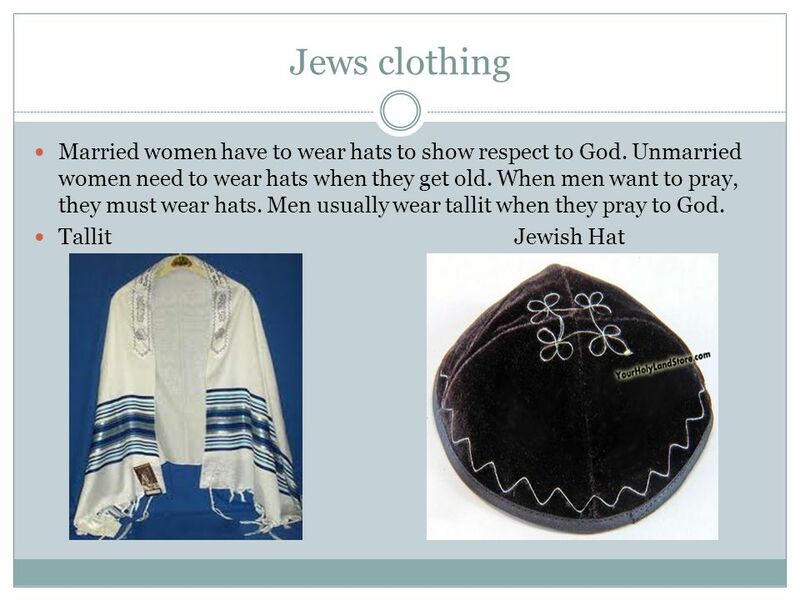 Men are also advised to use a YARMULKE / KIPPAH (skull cap) and a PRAYER SHAWL to COVER their HEADS as form of HONOUR to YAHUVEH / YAHWEH GOD keeping in mind that YAH is greater than them. This can be seen in the Book of Exodus where YAHUVEH / YAHWEH GOD commands Moses to make the HIGH PRIEST’S and Other PRIESTS’ GARMENTS. A HEAD COVERING was included. 2 Now I praise you because you remember me in everything and hold firm the traditions just as I passed them on to you. 3 But I want you to know that the head of every man is MESSIAH (YAHUSHUA), and the HEAD OF THE WOMAN is the MAN, and THE HEAD OF MESSIAH is (YAHUVEH / YAHWEH) GOD. 4 Every MAN praying or prophesying with his HEAD covered dishonors his HEAD. 5 But every WOMAN praying or prophesying with her HEAD uncovered dishonors her HEAD. For it is one and the same as having been shaved. 6 For if a WOMAN does not cover her head, let her cut off her HAIR. But if it is shameful for a WOMAN to have her HAIR cut off or to be shaved, let her cover her HEAD. 7 For surely a MAN ought not to cover his HEAD, since he is the image and GLORY of (YAHUVEH / YAHWEH) GOD. [a] But the WOMAN is the GLORY of MAN. 8 For MAN is not from WOMAN, but WOMAN from MAN. 9 Neither was MAN created for the WOMAN’S sake, but woman for the MAN’S sake. [b] 10 For this reason the WOMAN ought to have a SYMBOL of AUTHORITY on her HEAD, because of the ANGELS. 11 In any case—in the Lord (YAHUVEH / YAHWEH) —WOMAN is not independent of MAN and MAN is not independent of WOMAN. 12 For just as the WOMAN came from the MAN, so also the MAN comes through the WOMAN—but all things are from (YAHUVEH / YAHWEH) GOD. 13 Judge for yourselves—is it proper for a WOMAN to pray to (YAHUVEH / YAHWEH) GOD with her HEAD uncovered? 14 Doesn’t the NATURAL ORDER of things[c] teach you—if a MAN has long HAIR, it is a disgrace for him; 15 but if a WOMAN has long HAIR, it is her glory, for her hair was given to her as a COVERING. 16 But if anyone intends to be contentious, we have no such custom—nor do (YAHUVEH’S / YAHWEH’S) GOD’S communities.